As subscribers to this blog may have noticed, this blog, which had always only been updated irregularly, has been inactive for an unusually long time. There have been a lot of things that I’ve been working on during this time, but the one that I feel most passionate about and that has engaged much of my creative energy is called Why This Way. It’s a little hard to describe what Why This Way is, but in many ways, it is a natural outgrowth of the approach of this blog: building consensus between people with different perspectives, and aiming to solve problems and bring society into a healthier state of being. I sometimes describe it as a consensus-based belief system and organization–a little like an analogue of organized religion that is structured more like Wikipedia. I have felt encouraged and inspired by the extent of the belief system that we’ve been able to develop and agree upon by consensus, especially given the wide variety of different religious and non-religious backgrounds of the people who have become involved in the group. The group’s name can be read as a question. “This could be a good reason to do it this way.” etc. The name is intended to capture, communicate, or connote both the fact that our group emphasizes questioning, and that we have extensive reasoning behind all the things that we have chosen to include in the group’s beliefs and practices. In a broader sense, the name is also intended to draw attention to thinking about the “why” in general. For example, our group emphasizes the idea that people tend to have reasons behind their beliefs, and that it can be helpful to draw attention to this reasoning. Awareness of the “why” can help solidify or strengthen beliefs that people really want to hold. But it can also help people to root out maladaptive behaviors or beliefs that are problematic or untruthful. The group draws attention to cases when people follow practices or beliefs merely out of what we call a “vague sense of obligation”, a sort of societal pressure that is often unconscious. Why This Way is run by consensus, but more than just being consensus-run, different aspects of the group have been designed so as to integrate the philosophy and approach of consensus (and the related idea of consent) into the belief system and the way of communicating. Many of the central ideas in the group, such as the idea shown above, are ones that are pretty obvious, but that people often lose sight of, especially in situations of conflict, stress, or anxiety. One of the ways our group works is by continually drawing attention to these points so that we can discuss things (and act) in ways that are more rational and more constructive. When there is a point of disagreement, rather than arguing back and forth to try to prove the correctness of one view (or the incorrectness of another), the goal in our discussion is for each person present to understand the other person’s perspective as fully as possible, and to distinguish between where they agree and where they disagree. As a group, we word our beliefs, practices, and official statements so as to describe the diversity of viewpoints as accurately as possible. Promoting an atmosphere of mutual respect, where people don’t feel like they are being told they are wrong just for having a different perspective. Promoting truthfulness in dialogue, keeping grossly untruthful statements out of the group to as great a degree as possible, and helping people to more easily discern the truthfulness of various statements. Drawing attention to the boundaries between subjectivity and objectivity of beliefs, and helping people in the group to become aware of exactly how and when and where their beliefs differ from others in the group. Negative Labelling – The rules prohibit attaching negative labels to people or groups of people. Besides prohibiting many forms of insults, this prohibits the practice of identifying people with or defining people by their flaws. For example, we can say that a person’s words or actions are racist, but we cannot say that the person is racist. Similarly, we can say that a person committed a crime, but we cannot call them a criminal. Statements about other people’s thoughts, intentions, or motivations – One of the toughest rules to follow is one prohibiting making statements about other people’s thoughts, intentions, or motivations. We allow for general observation and speculation about human psychology, but not the reading of specific thoughts or intentions into a specific person. This rule has many purposes. One purpose is to keep the dialogue focused on observable reality, as we can directly observe a person’s words and actions, but only the person themselves can observe their own thoughts. Another purpose is to respect psychological boundaries, which can be related to issues of privacy and consent in sharing thoughts. Still another is to prevent the reading of negative intentions into people’s actions, which can lead to demonization and conflict and can hinder progress at achieving goals or influencing people in positive ways. Should statements – Our group has rules that prohibit using should statements, which include both the word “should” and ideas expressing equivalent ideas, such as “ought to”, “supposed to”, or the idea that someone “deserves” something. Although we don’t necessarily consider the word “should” to always be problematic in dialogue, we want our dialogue to get more specific. A statement like “we should do this” can mean: “I want to do this”, but it could also mean: “I need to do this do achieve a specific outcome.” or “I think it would be good for me to do this.”, or even “I feel a vague sense of obligation to act in this manner.” We want our rules to help people communicate in a way that distinguishes between these different uses of the word. What is Why This Way doing? So far, Why This Way has mostly focused on the development of a system of beliefs and practices that the individual participants in the group can put into use in their lives. Much of the discussion, and the writing on the wiki, has focused on things that anyone can put into practice in their daily life. The central writings of the group are housed on a wiki in a format similar to Wikipedia. An educational philosophy and system – Although it is in its very early stages, we have begun discussing and developing a philosophy of education that is based on our core beliefs. This discussion has two goals: one, to help people such as students, teachers, and parents to make the best of the current educational systems in society, and two, to eventually create or inspire schools or systems of education of our own. Sustainable gardening and landscaping – Sustainability is a key aspect of the system of beliefs and practices in Why This Way, and one way this has played out is that the group has designed a set of practices for sustainable gardening and landscaping. We have begun to implement these, with planting of native plants on two different properties, with the goal of creating sustaining semi-wild environments in each case: the flower beds of an apartment building in West Philadelphia, and a suburban yard at one of the houses where we hold regular meetings. Press and media – Communication is a key focal point of Why This Way, and explicit discussion of the media and press, as well as discussion of the culture of electronic communication and social media, has come up in many of our meetings. Our group already has an extensive wiki which has a much wider reach than the people who physically attend our meetings. In addition, many of our members are active bloggers, and have both written about the ideas in our group (Babies and Bathwater is one example of such a blog), as well as having had ideas in our group shape our writings on other topics. We have also discussed, for the long run, the possibility of later creating news media that is in harmony with our value system. After discussing and agreeing upon principles of sustainable landscaping in Why This Way, two of us used these principles as a guide to inform our purchase of plants to landscape an apartment building in West Philadelphia. 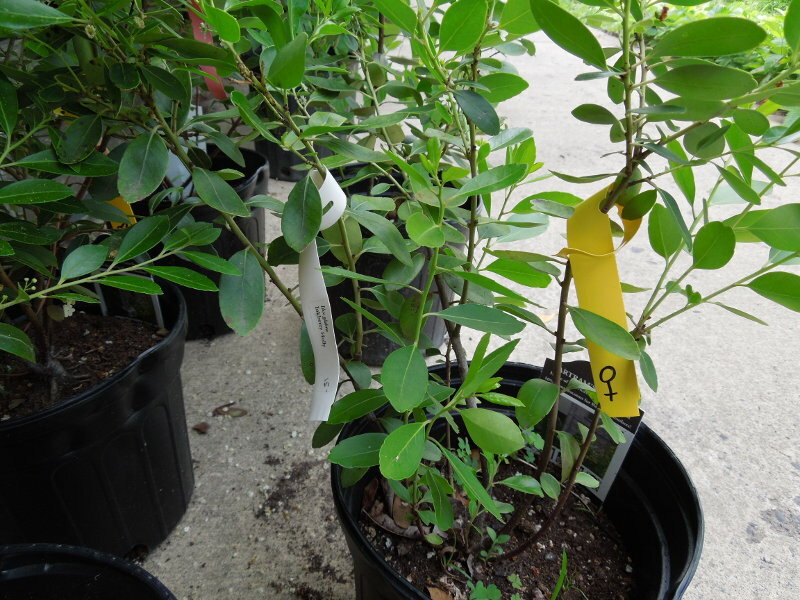 Pictured here are Inkberry holly bushes from Bartram’s Garden Nursery: these are one of the native plants we chose. We are hoping that as our group grows, we will have more resources to be able to tackle more ambitious projects like these. I have already been impressed with what our group has been able to achieve with our current level of participation. If you are interested in our group, and if you want to either learn more or contribute, there are many ways you can get involved. Read our wiki – Our wiki houses the most up-to-date official writings of our group. It is a good way to both see what we’ve been resolving and discussing, as well as to get a better sense for how our value system fits together. You can also search for specific topics on the wiki, to see if we’ve discussed them or have any viewpoints on them. Talk to us – Why This Way is based on dialogue, which not only includes group discussions, but also one-on-one conversations about the group and its ideas. Talking to people about our group and the ideas in the group is one of the best ways to learn about it, and may lead to a deeper understanding than just reading the wiki. Offer feedback – Our group is based on ongoing questioning, discussion, and refinement of our ideas. If you see something that you think you could improve, that you think is problematic, or a topic that you don’t see covered that you want us to discuss and write about, or elaborate on, please get into contact with us! Get involved locally – We currently have regular meetings in the city of Philadelphia and in its northern Suburbs, as well as semi-regular meetings in northern Delaware. If you live in this area, you can come to our meetings or meet with us to talk about our ideas. If you live farther away, there are still ways you may be able to get involved. Perhaps you could meet up with one or more people in our group when we travel, and we also have ways which people can get involved remotely. Today is November 11th, 2011, and this post is scheduled for 11:11. This only happens once (unless you count both AM and PM)! This is a wishing post…a post with wishes of my own, and also a post about wishing. In this post, you will find an explanation of how the act of wishing can produce tangible and positive results in our lives and our world. When we wish for something, it is primed in our consciousness. Even when we are not consciously thinking about the wish, it is lurking somewhere in the back of our minds, and we become more likely to notice things in the world around us that are related to the wish. Wikipedia has a detailed article on the phenomenon of priming, if you want a full explanation. Once the wish has primed us to things around us related to a specific event, occurrence, or goal, we will be more likely to see or notice opportunities in the world around us that can help us make our wish come true. We thus become more likely to make our wish a reality, through our own actions and choices. Because we generally wish for positive things that make us feel good, the act of visualizing these things can put us in a more positive mood and mindset. There is a large degree to which being in a positive mindset and mood can make it more likely for us to have good experiences. The reason for this lies in the phenomenon of positive feedback loops. Positive feedback loops are a characteristic feature of nearly all complex systems, and are ubiquitous both in the human mind and body, and in social networks and economic systems. Wikipedia also has a very good article on positive feedback in systems. In terms of how you are thinking and feeling, positive feedback operates through the way you are thinking and feeling influencing your actions and decisions in ways that reinforce the same thoughts and feelings. This can happen both with positive and negative emotions: anger can produce hostile or hurtful actions, which can provoke more anger, causing escalating conflict, or love and generosity can bring out generous and loving qualities in others, leading to positive human relationships. Wishes can help us leap into a new, positive place, using the power of our imaginations. It seems silly to ask how to wish; most young children know how to make wishes, and do so frequently. But, as the examples above show, the ways in which wishing operates are rather complex. I prefer to think about wishing as a skill, something that can be cultivated and developed. I’m not an expert wisher, but I do have a few ideas of what makes a good wish, and how to carry out the wish. I actually want to start though with the how, rather than the what. People often like to wish upon a star. 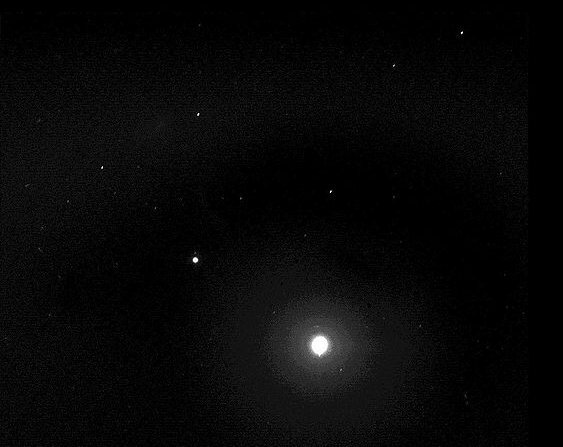 This photo of the night sky, taken from Mars in 2005, was likely a wish-come-true for the scientists involved in the Spirit Rover project. Give yourself a justification for the wish. The justification can be genuinely spiritual, or it can be superstitious or even completely made up. For example, I am posting this post on 11:11, 11/11/11, because this is a good wishing time, as this time is attention-getting and has a culturally accepted significance for making wishes. Although this post is primarily about wishing, not about prayer, if you are religious or believe in God, you might also find it helpful to pray instead of wishing. But I want to emphasize that your justification or grounds for the wish do not need to be deep or serious, and you do not need to believe in any sort of global significance to them. The act of wishing can be fun and lighthearted, so it is often best to pick a silly justification for your wish. Culturally-accepted events to wish upon (such as the first star you see at night, blowing away the seeds of a dandelion plant, or blowing out candles) can be good options, but you can also create your own traditions and share them with your friends and family. Focus on your wish and experience the act of wishing, rather than letting it happen as a fleeting thought. The reason for the importance of this lies in how priming works in the brain. If we are exposed to a stimulus and ignore it, it actually becomes less likely for us to recognize (and thus act on) that stimulus when we encounter it in the future. This phenomenon is called negative priming, and explains, among other things, how some people might repeat prayers in church, to use an example, out of rote or habit, without being mindful and focusing on them, and then go out into their lives and act in direct conflict with what they just prayed about. Others, who are mindful of the same prayer and say it deliberately and focus on it, might find the same repeated sayings to translate into positive actions in their lives. Now that we’ve reflected a little on how to wish, I want to move towards the question of what to wish for. I have two pieces of advice about how to determine what to wish for: look for what you want rather than what you are told to want, wish big, and make your wish something you can actually imagine. The first of these tidbits of advice is the easiest of the three to grasp. There are a lot of suggestions and temptations in our society of things to wish for, both for ourselves and for others. Many of these suggestions are a direct result of marketing and advertising that we are inundated with from a very young age. Young children are induced by advertising on television and in other media to want specific toys, or other material goods. Adults as well are told by advertisement what to want, and we are usually told to desire material things, because this produces the greatest profit, and thus payoff, for the advertiser. But these things are not what we really want. The retail industry expends massive amounts of money to try to shape culture and people's desires, so that they falsely believe that what they really want is to buy more stuff. Photo by Brian Robert Marshall, Licensed under CC BY-SA 2.0. Another source of temptation of things to wish for are the expectations and demands placed on us by other people. Some people have parents who want them to follow a specific career path, or exhibit a certain type of “success” in life (often manifested in education, job, wealth, status, or marriage and raising children). Other people may have a boss in a job, or a teacher, or an academic advisor, who always wants more work, better work, or a different sort of work. Various other people face demands on their time, from responsibilities in clubs or charitable organizations they are involved in, or from friends, romantic partners, or family members. It is generally a good thing to be concerned with other people, and it is also perfectly okay to wish for material things, as we all need some degree of material resources in order to live our lives and pursue deeper and more meaningful things. However, when wishing, it is important that you ask yourself what you really want. If you wish instead for what others tell you to want, you may remain unsatisfied even if the wish comes true. By wishing for what you really want, you not only make it more likely that your wish will result in an outcome you really want, but, through the act of wishing, you will help yourself to become a more honest and whole person, more assertive and open about your own needs and desires. One way that wishing can go wrong, or at least be ineffective, is if we wish for things that are too small and too specific. Life is unpredictable, and we don’t always know what we’re going to end up with in the end. Sometimes wishing for something specific can be empowering, such as wishing you get a job, directly before going into an interview for that job. But in the long-run, if you wish about a highly specific job or career that doesn’t exist and is not realistic to create, you may not find it, and you may remain frustrated. If instead, you broaden your wish, such as wishing for a fulfilling, meaningful job, you may see and be able to take opportunities that you did not notice when your sights were more narrow. 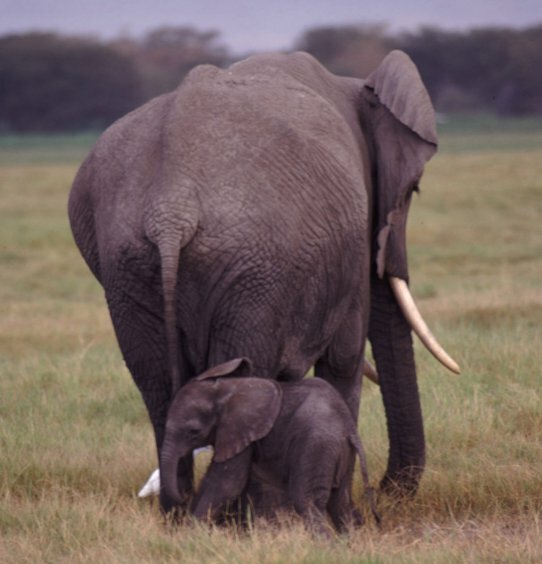 Elephants are big, but love is bigger. I’m also a big fan of wishing big, that is, wishing for miracles, things that seem impossible, out of reach, or at least highly unlikely. Examples of these sorts of wishes include healing or recovery from terminal illnesses or conditions that seem impossible to overcome, or broad-scale cultural or political changes that we often feel powerless to influence. And miracles and broad-scale changes do sometimes happen, as anyone who has seen a loved one live far longer than the doctors predicted, or anyone who has seen the fall of an oppressive system like apartheid in South Africa, will testify to. But, if wishing is to be effective, the practice of wishing big must be tempered by a third piece of advice, one anchored in realism and our limitations as human beings. One of the big cliche wishes which doesn’t seem to come true in spite of many people wishing for it is world peace. I’m a very optimistic person, and I actually believe that world peace is possible and will some day be attained, although to be realistic, we will probably always have some form of conflict. But why, if so many people are so often wishing for world peace, do we still have so much war? This seems like one of those questions that is impossible to answer, but I want to offer a possible explanation. My explanation is that “world peace” is too vague a wish, and too hard to imagine in a way that is real and relevant to our lives. (Contrast this with a wish to end a specific war or conflict, which always eventually comes true.) What does “world peace” mean? Most people don’t even have a grasp of what “world” means. We don’t have an intuition for how large the world is, and for how many people there are in the world. And most of us know little to nothing about many or all of the places where we are supposedly wishing for peace. Overly vague wishes are limited in the degree to which they can actually empower us to positively influence our world, in part because they do not involve vivid imagery of what the outcome of the wish would look like, to us, in our own lives. They don’t prime us for anything directly related to the goal. There are thus few opportunities for us to act in our daily lives in ways to actually bring our desired results into being. If we are to wish for the end of a conflict, we need to feel some sort of connection to the people and places involved in the conflict, and we need to have a picture of what peace would look like. Then, and only then, will we be able to let wishing do its magic, and begin to seize opportunities to actually make the wish into a reality through some sort of concrete action in our daily lives. I want to clarify that I’m not telling people to avoid wishing for (or working for) world peace or other global goals. But I will say, if you really want to achieve such goals, your best bet is to think carefully about vivid ways to visualize them, and make them as relevant to your life as possible. My wish is that people throughout the world will take time to stop and reflect on what they really want, not what consumerist marketing or societal expectations tell them to want. And I wish that people will take time to do this not once, but on an ongoing basis, setting aside time in each day to do so, to think about the broader, longer-term things in life, so that their actions can be more purposeful in a global sense. I wish that people will stop and look critically on the obsession that dominates not only American culture, but many cultures in the global economy: the obsession with self-advancement and competition, which manifests in working ever harder and longer hours to earn money, focusing on getting good grades in school, advancing in one’s career, and achieving other tangible material measures of success. I wish that people will step back and take some time to ask deeper questions about what they are really working for, and do everything in their power to make choices that produce the best results for society as a whole, rather than just trying to advance themselves in a big game of status and power. And I wish that people will become more aware of how their actions give power to or take power away from those in authority, and that, to whatever degree possible, they will give their power to those placing the best interests of society as a whole first, and find ways to keep power away from those who are merely working to advance themselves. I think I have a good idea of what society would look like if we did more of this. I think a large number of problems would start to solve themselves. I also think I have a lot of ideas about how to bring this vision into being; if you want to learn more about some of these ideas, read more of this blog. 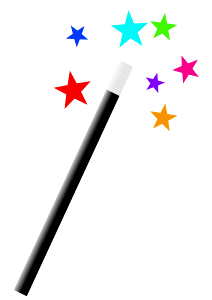 Share a wish here in the comments, or write a blog post of your own about your wish! It doesn’t matter if you missed the wishing time, 11:11 on 11/11/11. I wrote this wishing post to open up an unlimited amount of wishing by an unlimited number of people! The photos on the site are classified by a system of tags, like this blog. This enables a given photograph to be listed in multiple albums. Within each album, the photos are classified by time and date. I have included photos going back to when I obtained my first digital camera, in 2002, and the albums including pictures from three separate digital cameras, and from numerous different places I have lived and visited. I have published photos online for a long time, through a number of different websites. Recently I had been uploading a lot of photos to Facebook. Facebook benefits financially from the photos that I upload, through serving advertisements on pages containing my photos, and indirectly through the additional usage and traffic that is generated by my friends and other interested people viewing the photos. Since taking, formatting, and uploading photos takes considerable time and effort, I wanted to reap the full benefits of my own photography rather than having a corporation profit off my own work without providing me with any compensation. This motivated me to publish more of my photos on websites I control, rather than on websites owned or controlled by corporations. When publishing on Facebook and other websites, the photos are naturally integrated with and cross-linked with other pages on the site (Facebook, or whatever site you are using). I would rather my photos be cross-linked and integrated with my own work, writings and articles, and other websites that I choose on the basis of trusting or wanting to support. Like this blog, the photo album serves the purpose of a sort of activism. Each photo has not only a title and caption, but an extended written description, and, in some cases, a full-sized article. These descriptions and articles explore many different topics, but like this blog, many of them focus on sustainability, culture, ecological relationships. In the new photo albums and on the rest of Cazort.net, you will find the same sort of integrated approach to science, psychology, politics, culture, religion, and other topics that you find on this blog. You will also find the same positive, problem-solving, action-oriented approach. Many of the photos on the site are not intended to have artistic value, but rather, are intended to move or draw people to action. I am not among the most talented photographers visually, but I do believe that I have something unique to offer in the political, cultural, and ecological interpretations to my photographs. When I take photos, I do not want to create art. I want to document and share the world as-is, and as I see it. And I want to communicate my interpretation of how I see the world, and my understanding about the world. For example, I do not want to engage in nature photography so much as I want to engage in ecological photography, and I want this ecological approach to extend to the way I photograph and write about my photographs of the urban, suburban, and rural environment, including not only how I view agriculture, gardens, and landscaping, but also buildings, infrastructure, public spaces, and people. Often, when I go through my daily life, I see numerous potential points of action or activism that could easily solve certain societal problems or result in tangible benefits or improvements to society or communities. By sharing my thoughts on the objects and events and sights I see in my daily life, I want to give others ideas and empower them to make a positive difference in the world in ways that they may not have thought of. I also want to share my knowledge on topics on which I have knowledge that is accessible but not held by the general population. Please do check out my new photo section of Cazort.net. 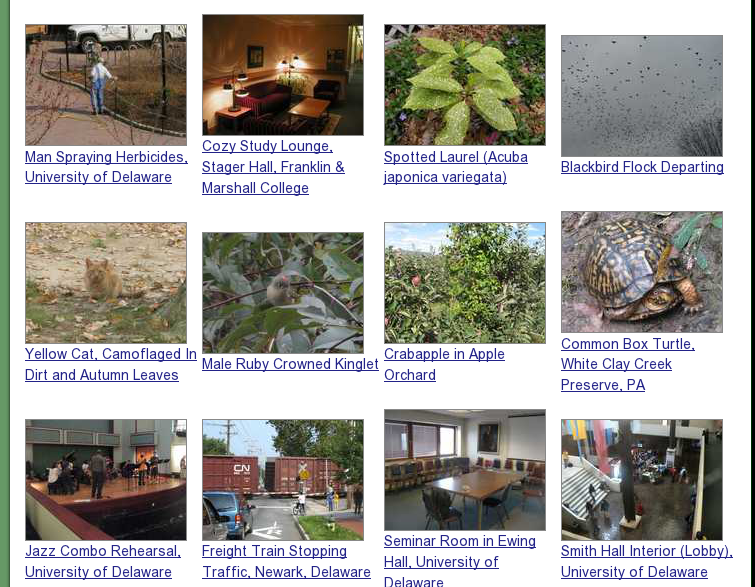 You will find a particularly large section of photos of produce, photos of plants, and photos taken in Philadelphia. The pictures of produce often are paired with discussion of the use of the various fruits and vegetables in food. I have no idea what direction this photo section of the site will take in the future, but I invite you to check it out and come back periodically over time as I continue to add new material. I still have thousands of pictures that I have not yet uploaded, so I will be adding not only new photographs but numerous photographs I took in the past as well. A long while ago, I heard Robert D. Putnam, author of Bowling Alone, speak at Franklin & Marshall College. His speech piqued my interest, and I read his book, in which he provides compelling evidence of the decline in America of what he calls “social capital”, a connectedness between the people in society. Although I agreed with part of the conclusions of his book, notably that there has been a major decline in social capital in the U.S., I was unsatisfied by his causal explanation for the decline. Putnam rightfully points to television as one major culprit, but he doesn’t fully explore why people started watching so much more television. Could it have something to do with the neighborhoods we live in? I absolutely love neighborhood gathering spots, those places where people from a neighborhood come together to socialize and connect. There are many different types of spaces that could function as gathering spots in a neighborhood: coffee or tea shops, restaurants, bars, parks, town squares, and other outdoor spaces, churches, public-access buildings or outdoor terraces on a university campus, public government buildings like libraries, corporate office buildings with public areas, the possibilities are endless. 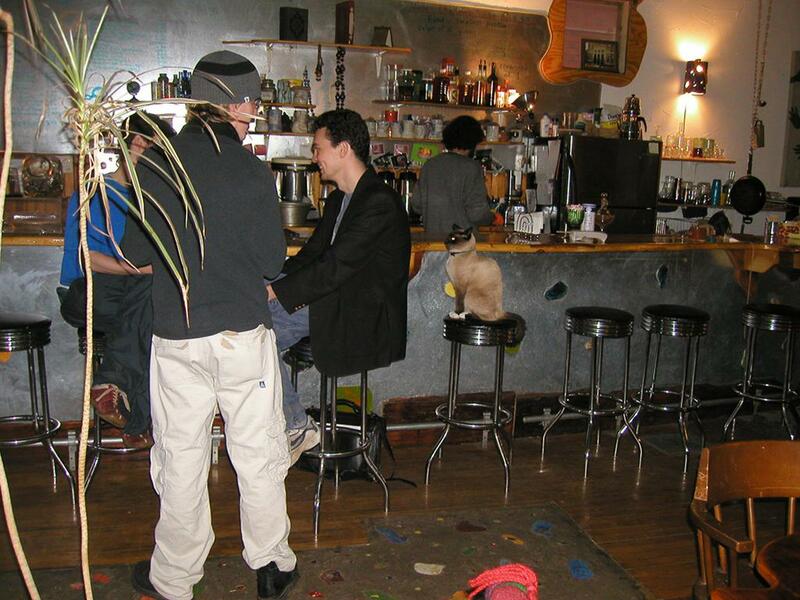 Algebra Tea House in Cleveland, Ohio is a prime example of a small business that functions as a community gathering place. I love this place because it’s the kind of place where you can easily strike up interesting and meaningful conversations with people. If you’re feeling more social, you can sit at the counter, or if you’re in a more private mood, you can seek out a more secluded corner in the back. People who live in the nearby neighborhood of Little Italy frequent the shop, as it not only sells coffee, tea, and baked goods, but also a reasonable selection of fresh produce, some food, and it provides wireless internet and a printer. This tea house is convenient and is a huge asset to the neighborhood in which it is located. Spaces in which people can get together and hang out are obviously fun. They help people to relax, and they provide a good place for groups to get together in a more public setting, or a place for single people to go if they just want to get out of their house or apartment. But there are other values to these spaces as well. As someone who has run one successful business and is currently working on a second, I will testify to the immense economic value of meeting people and networking for business purposes: any business owner will likely confirm this. Even if you’re not an entrepreneur, networking and knowing people can be important when searching for a job or other opportunities. Social gathering spaces are often one of the best ways to meet people for business networking purposes. Just by being present in these spaces, I would naturally end up in conversations where people would ask me about what I did, and express curiosity about my business. I picked up quite a few new clients, directly and indirectly, from these casual conversations. While I did also join a number of groups that were oriented specifically towards business networking, I made just as many valuable business connections in social contexts and public spaces that were not explicitly business-oriented, including coffee shops, bars, at social dances, and even on buses and trains. Integral to the neighborhood character of Algebra Tea House, and many similar bars, restaurants, and stores, is the fact that it is located in between houses and apartments, in a dense, walkable neighborhood. It’s so much easier to casually stop in a business or other gathering place, if you are already walking by it. A person can even glance in the window to see if any friends are inside. In car-oriented development, however, much more deliberate behavior is required in order to drive to, park, and enter a business or other space. In this newer type of development, connections only happen when they are specifically planned. In these businesses, where few people drop in or hang out, it’s less likely that you will strike up a conversation with someone you’ve never met before. 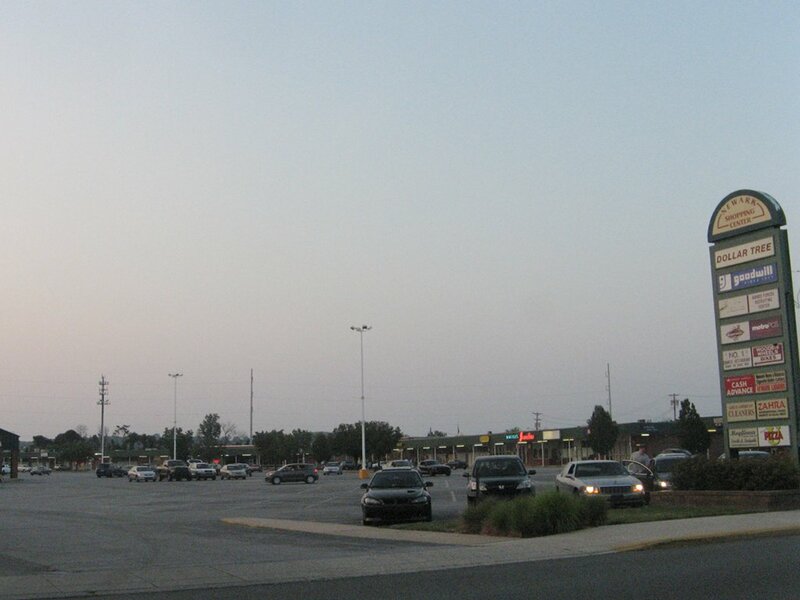 Car-oriented commercial areas like this shopping plaza in Newark, DE, do not lend themselves to the spontaneous creation of community gathering spaces. The local distribution of businesses is also important if businesses are to function as community gathering spaces. 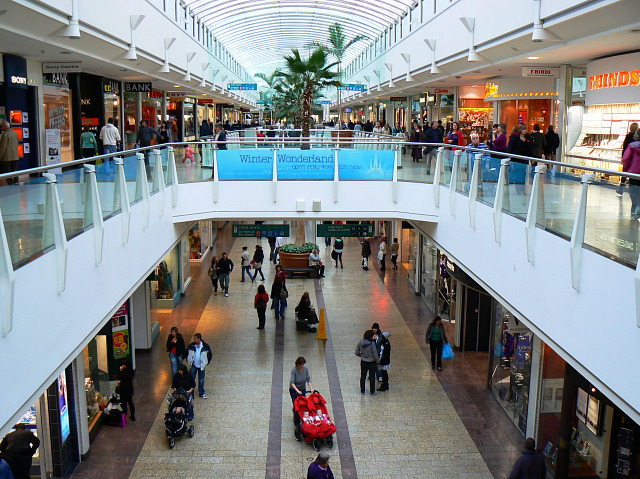 While businesses naturally like to locate near each other because of the synergy produced by having a bunch of commerce in one place, if all the commerce serving a large area is centered in a single place, such as a mall, you will be less likely to run into someone you know when going to that place. If, on the other hand, there are more small businesses scattered throughout different neighborhoods, you will be more likely to run into people from your neighborhood when you visit the businesses closest to where you live. The lack of these community spaces can make it harder for newcomers to become connected into the community. As someone who has lived in 10 different neighborhoods in 6 different cities, towns, or metropolitan areas since graduating college, being able to connect easily in new location is important to me. But often, the lack of these spaces isn’t just something that affects newcomers, it’s something that reflects the fact that people in the community are not connected to each other! Have these public spaces declined in America? 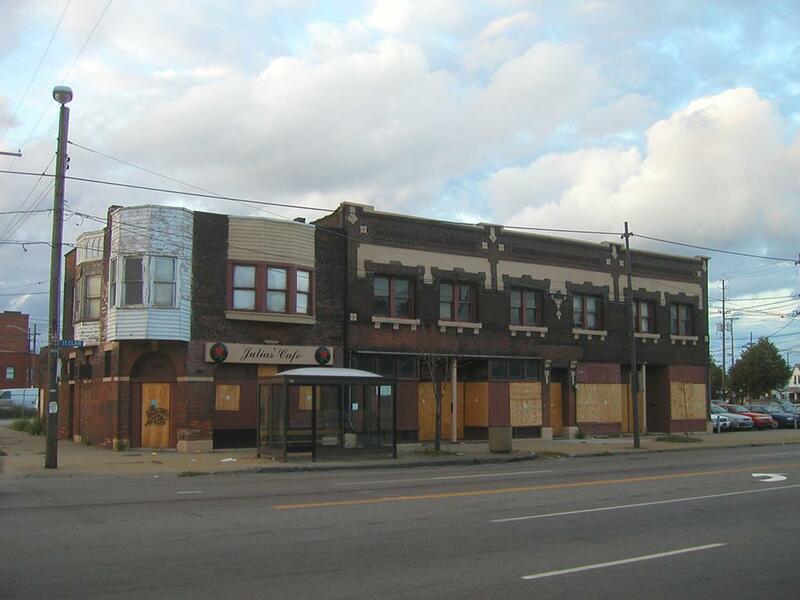 Boarded up storefronts on St. Clair Ave., Cleveland, Ohio - Much of Cleveland looks like this. Many of the old, walkable urban areas have been abandoned as people moved to newer, car-oriented suburbs. While suburban-style shopping plazas are thriving across America, older urban areas that have infrastructure that lends themselves to smaller, neighborhood- and community-oriented businesses are dying. While there are many such areas that are thriving, there are many more that are in very bad shape, like the storefronts pictured above. Not only does the car-oriented nature of these suburbs, and their greater distance from employment centers require more car use (and thus more fossil fuel use) and thus provide a barrier to achieving sustainability, but these newer suburbs do not lend themselves to the spontaneous formation of community. As I explained above, community gathering places are not just enjoyable, but they have measurable economic value. These newer suburbs are not only not sustainable environmentally, but they are poorer in economic opportunity for those who live in them! The blog of St. George’s Anglican Community in Phoenix, AZ has an excellent post titled C.S. Lewis on Going to Church. The post remarks on the phenomenon of “church shopping”, noting how C.S. Lewis had an unwavering commitment to attend his own local church, even if he was getting little out of it. Lewis believed that the purpose of church was not for him to get something out of it, but rather, to bring something to church. I struggle with this issue myself. Everywhere I have lived, I have visited some of the neighborhood churches near me; sometimes I find that they mesh or resonate well with my values and beliefs, whereas other times I find these churches are more of a stretch to relate to. But even in the churches where I haven’t found a good “fit”, I have still had meaningful conversations with people. It is almost always possible to find the best in any situation, and if we set out to visit a local church with the intention of becoming more connected to the local community, rather than to find a church that matches our beliefs, we will be more likely to be satisfied and successful in what we set out to do. You do not need to join a church or religious organization as a member, believe what the church believes, or even be a believer in or member of the more general religion the church or organization is, in order to attend it now and then. In many cases, attending a church with differing views from your own could provide the additional benefit of giving you more perspective on life, or exposure to a new culture or new ideas. Not all community gathering spaces exist in businesses, organizations, or public property: people’s homes often fill this function to a degree. The architecture of the homes is very important. 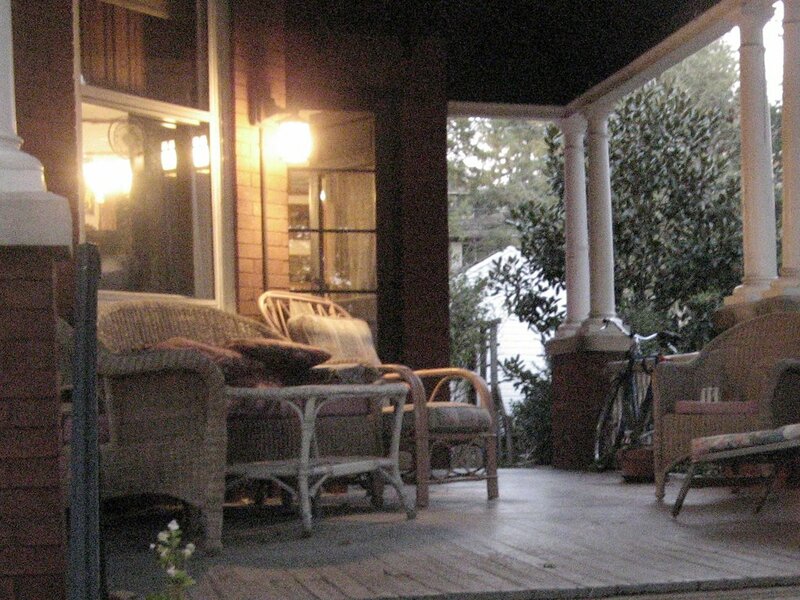 During the warm months, houses with large front porches often function as semi-public community spaces. Neighbors may gather casually on someone’s porch to chat, and if you sit on your own porch, you will be more likely to see (and thus connect with) others in your neighborhood. This is the front porch of the house I grew up in: it faces the street, where people frequently walk by on the sidewalk. I would frequently strike up conversations with neighbors walking by whenever I spent time on the porch. Half-public, half-private spaces in people’s homes can take many different forms. In some neighborhoods, people use front lawns for this purpose. Some apartment complexes have shared courtyards. In dense urban areas with rowhouses and no porches, people sometimes sit and chat on the stoops of their homes. If you are creative, you can make a semi-public space out of the area you live in. Familiarize yourself with the neighborhood and community gathering spaces near where you live and work. Make an effort to spend time in them, either alone, or with groups of friends, in order to help keep these spaces vibrant. If you attend church, try attending a church in your neighborhood at least periodically, even if it doesn’t fit as closely with your values, and even if you choose to attend another church as your main church. Think both about what you can bring to the community in that church, and about being connected into the local community. Choose to live, shop, and spend time in walkable neighborhoods to whatever degree possible. Try to avoid spending time and money in more isolated, car-oriented areas unless you have a compelling reason to do so. Use your spending decisions as a way to exert influence over the direction in which society develops, so as to promote sustainability and strong communities. Spend time and money in the businesses that function as community gathering spaces so that they thrive. Use and voice your support for other community spaces, such as public space in colleges and universities, churches, park space, or other space run by public/government entities. Consider buying a house or renting an apartment where you will have access to a front porch, or other semi-public area, if possible. Brainstorm about what you can do to create a semi-public area in your home. People generally don’t like taxes, and taxes on gasoline are no exception. The rates on gasoline taxes are generally hidden from obvious view: people buying gas for their vehicles only see the price at the pump, which is a function both of tax rates, and the fluctuating price of wholesale gasoline. Most people have no idea what portion of what they’re paying is tax and what portion reflects fluctuations in market price. Can you remember when gas was this cheap? 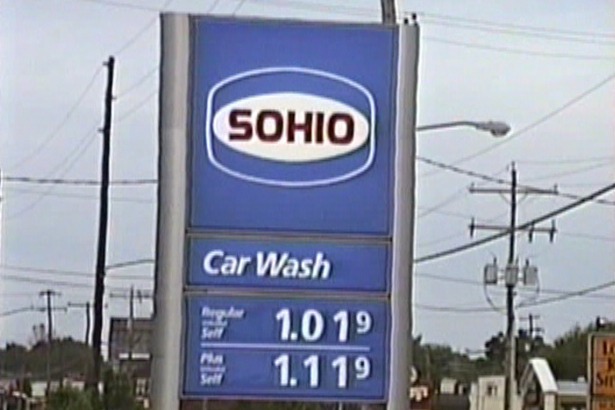 Can you remember when Sohio had not yet been bought by BP? What is the current gas tax rate in the US? In the U.S., unlike sales tax which is a flat percentage, gasoline is usually taxed at a fixed rate of cents per gallon. There are both state and federal taxes, and a few local ones as well. The federal gas tax is currently 18.4 cents per gallon for gasoline and 24.4 cents per gallon for diesel. The USDOT Federal Highway Administration has an excellent history of the federal gas tax on their website. State taxes vary widely, and the taxes on diesel vs. regular gasoline also vary. Unfortunately, I was not able to locate current figures on individual state tax rates, in one page whose figures I trusted. The lowest tax rate is in Alaska, and the highest in New York State. The average total gas tax is around 50 cents per gallon in the U.S. For gas of about $3/gallon, this tax constitutes about 1/6th or about 17%. Although federal gas tax revenues (and some states’ as well, including Ohio) are set aside mostly for road construction and maintenance, the current rate is too low to even pay for road maintenance. Real Clear Markets published an article A Good Grade on a Possible Gas Tax in October, which points out that the federal gas tax has remained at a fixed rate since 1993. The tax is not adjusted for inflation, nor does it rise as the price of gas rises over time. The result is that the inflation-adjusted price of the tax has fallen, and the rate of tax as a percentage of gas prices has fallen even more. However, road spending as a proportion of total government spending or revenue has not decreased. This means that more funds have been transferred from other taxes and other government budgets being used for road construction and maintenance, thus contributing to the budget deficit. High gas prices dampen economic activity, because much of this activity depends on vehicles that use gas, including travel and shipping. High gas prices tend to disproportionately harm poorer individuals and families who are operating at the margins financially. However, there are positive aspects of high gas prices, occurring both in the short- and long-term. High gas prices encourage conservation. As gas prices rise, people are more likely to find ways to minimize their driving or gas usage. This effect is immediate, but it continues to have a deeper effect in the long-term. High gas prices discourage vehicle and road use, which decreases the need for road construction and maintenance. This decreases costs for federal, state, and local governments alike. In the long-term, high gas prices promote technological innovation to reduce gas usage. When gas prices are high, the price of fuel-efficient vehicles soars, which makes it more financially rewarding for companies to develop, produce, and market these vehicles. On very long time scales, high gas prices will change the structure and organization of communities and society as a whole in such a way that reduces gasoline usage. For example, if gas prices remain high for a sustained period of time, living in exurbs far from employment centers will become less desirable, whereas living in urban centers will become more so. There will also be increased demand for public transportation and walkable communities, which, over time, will lead to better public transit and communities that are designed in a more walkable way. 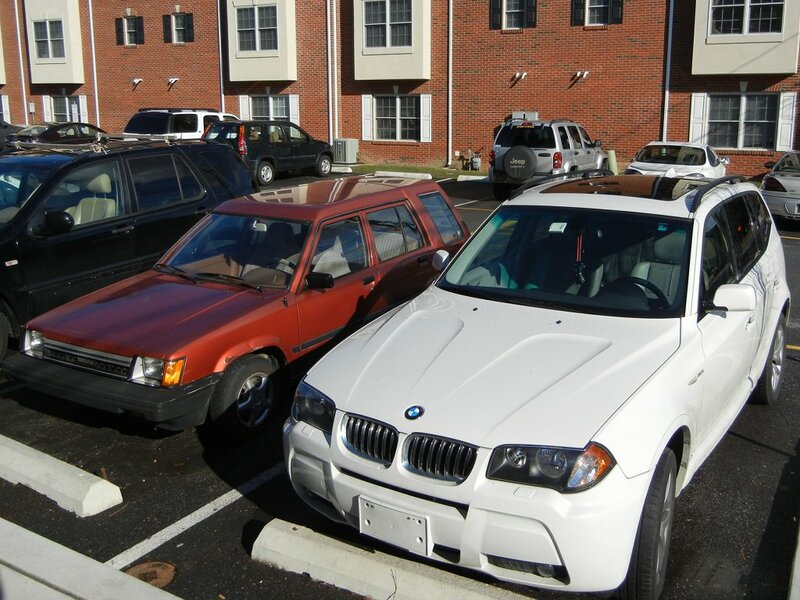 Rising gas prices will cause the fuel-inefficient SUV on the right to fall in value, whereas it will boost the resale value of the old compact car on the left. Falling gas prices will have the opposite effect. This effect can be easily observed by browsing used vehicle sales or visiting a car dealership during times of unusually high or low gas prices. Is there a way to implement a gas tax so as to maximize the positive effects of high gasoline prices, while minimizing the negative impacts? In order to answer this question, we need to consider something beyond just prices. People and businesses alike are not just affected by the overall price of gas, but rather, they are also affected by the fluctuations and volatility of the price of gas. A key idea here is that the negative impacts of rising gas prices are most strongly felt immediately, whereas the positive impacts of high gas prices are only fully realized in the long run. Most conservation decisions take time. On a day to day basis, a typical person needs to get to work, and for most Americans, this requires driving a car. While public transportation may be an option for some, it is often time consuming, and takes time to learn and familiarize oneself with. Carpooling, again, is an option for some people, but it also takes time to organize and figure out. Gasoline prices fluctuate weekly, even daily. When you drive to the gas station to find that the price of gas has jumped 50 cents from last week, there’s little you can do other than sucking it up and paying the extra money. For business, the same is true. Logistics companies can shift to rail freight from trucks as gasoline prices make trucking less viable, but this process is slow and involved. When the prices of supplies and industrial inputs fluctuate due to shipping prices, substitute goods can be found, but this process takes even more time and is even more involved than changing shipping methods. Gas prices that rise sharply and unpredictably thus have a much stronger negative effect both in terms of causing individual hardship and dampening economic activity, than gas prices which rise predictably over the long-run. Both people and businesses can adapt to slower, more stable gas rises. When a rise in gas prices is predictable, people and businesses can plan ahead and adapt to the change well before it happens, thus minimizing their loss. If we implement a floating-rate tax on gasoline, we can stabilize the price of gasoline, making it predictable in the long-run. The tax can work by setting a target price for the wholesale price of gasoline, using the price of oil as a benchmark, and the tax will be equal to the difference between the market price of gasoline and the target price. The target price would be set to rise gradually, at a higher average rate than the price of gasoline was expected to rise. In the unlikely event that the market price exceeded the target price, the tax would drop to zero. To clarify, there would be no price fixing of the price at the pump: this would be allowed to fluctuate freely. The tax would vary based on the price of oil which fluctuates on the open market, and which individual companies would have little control over, so they could not easily manipulate the tax. This regime is not perfect, and there might be some caveats about how to implement it properly, but if even a crude fit was achieved, it would offer an improvement to the current system, for reasons I will explain below. 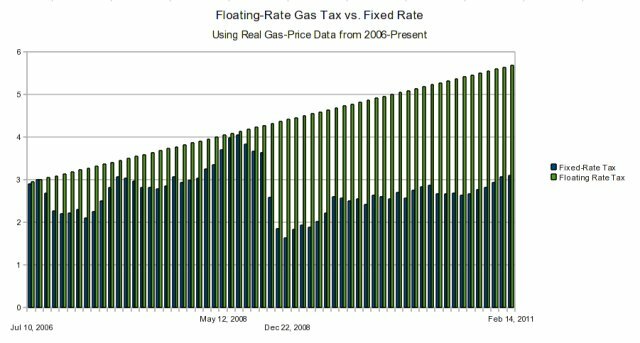 This graph shows how a floating-rate gas tax could stabilize gas prices at the pump, resulting in a steady increase (green). This graph represents a raising rate of under $3 in 5 years. The blue columns represent historical prices at the pump, from July 2006 to present, under the fixed-rate gas tax that actually existed during this time period. Data for the graph above can be found at the U.S. Energy Information Administration (EIA)‘s page on U.S. Retail Gasoline Historical Prices. The complete predictability of the price of gasoline, resulting from such a tax scheme, would minimize the negative impact on individuals and businesses. Having prices rise gradually, rather than suddenly, would give both individuals and businesses ample time to adapt to the higher prices. The knowledge that gas prices would not fall would allow both individuals and businesses to be confident that their investment of money, time, and other resources into reducing their gas usage would pay off in the long-run, unlike under the current system where the payoff drops precipitously if gas prices fall. Having the target price rise faster than the average rise in the market price would minimize the chance that the market price of gas would exceed the target price, which could have a negative effect on business and individuals and would also result in a drop in tax revenues. Having prices rise continually over time would create strong long-term incentives for conservation, technological innovation, and sustainable community design, thus promoting sustainability and energy independence. Rising prices of gas would reduce the demand for and wear on roads, thus reducing government expenditures on road building and maintenance at state, federal, and local levels. This would help close budget deficits and reduce the size of government. Revenue for the gas tax could be used to reduce the rate of other taxes, or close the budget deficit, thus making the tax more politically viable. For example, the tax could be used to offset payroll taxes for working Americans. The idea of a floating rate gas tax is nothing new. Henry Blodget of Business Insider is a continuing advocate for a floating-rate gas tax, having written in support of such a tax just a few days ago, in the article “It’s Time For a Gas Tax“, and in a 2009 article “Time For a Gas Tax“. There are a number of high-profile individuals who have also advocated in general for a high gasoline tax. Allan Sloane, senior editor at large of Fortune magazine, in his article “Time to raise the gas tax“, provides a compelling argument that a higher gas tax, even one that is not necessarily floating, will still stablize gas prices and enable market forces to operate more efficiently. Even Gregory Mankiw, an economist whose views I generally do not share, advocated in 2006 to raise the gas tax in his Pigou Club Manifesto; this article was published in the Wall Street Journal. In 2007, Steven Levitt, best known for his book Freakonomics, also advocated for a high gas tax in his post Hurray for High Gas Prices! Even Bob Lutz, a retired executive from General Motors, known for his stance as a global warming denier and opponent of hybrid vehicles, has advocated for higher gas tax. Which is more important, supporting a gas tax, or making your own personal choices that promote conservation? Your support of a high gas tax is much more important than your own personal conservation decisions. Your own personal choices affect only a handful of others, as people may follow your example; a high gas tax affects everyone’s decisions, including people who may not care about conservation as much as you do. Furthermore, a high gas tax will reward people and businesses who are living sustainably, as it will end the subsidy to road use and gasoline use that exists under the current setup where the gas tax is not sufficient to fully pay for road expenditures, and other taxes, which you are already paying, are closing this gap. If you care about carbon footprint, sustainability, walkability, public transportation, U.S. dependence on foreign oil, pollution, or any other environmental or social issues associated with gasoline usage, you will have the biggest impact on the world by supporting a high gas tax. Talk with people and/or write about your support of a floating-rate gas tax and a high gas tax. Send this post, or the other articles it links to which advocate a gas tax, to others, letting them know that you support what the post or article is saying. Contact politicians, voicing your support of a floating-rate gas tax and a high gas tax. Explain to small government advocates the ways in which a high gasoline tax can reduce the size of government by reducing road expenditures, helping close budget deficits, and allowing for reduction of other taxes. In recent years, both Republican and Democrat appointees to the U.S. Supreme Court have stirred up considerable controversy. Although issues are raised about candidates’ qualifications, these issues are often just excuses to attempt to derail an appointment that the opposite party opposes on ideological grounds. The real issue is that conservatives don’t want a liberal appointed to the court and liberals don’t want a conservative appointed to the court. Often, one or two issues become the focal point–most commonly abortion, and another major issue being gun rights. Both sides talk about keeping the court “balanced”. 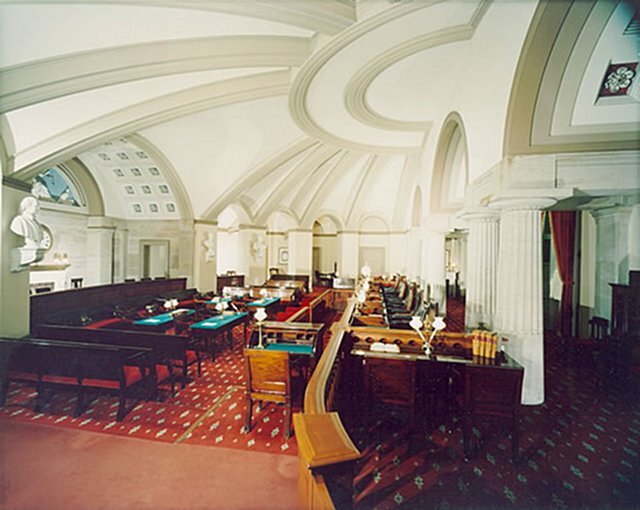 Pictured here is the old U.S. supreme court chamber, no longer in use. The current labels of "liberal" and "conservative" do not make much sense when you look back any substantial amount of time in U.S. history. There was a time when the Republican party supported many of the ideals now seen as "liberal". Although Stevens here sounds (at least to me) a bit more angry than rational, I agree with his core concern about corporations using their financial power to undermine democracy, and I think the idea of protecting corporations with constitutional “rights” like free speech, intended for people, is fundamentally flawed. So what’s the conclusion here? Both liberal and conservative justices have allowed some awful things to happen. But lest we get overwhelmed with negativity, I will point out that justices of all persuasions have made a lot of positive decisions that have advanced the interests of American democracy. They have even done so in ways that have overcome deep-seated prejudices. I want to highlight one particularly compelling example of such a supreme court decision. Let’s look at Brown vs. Board of Education, the famous decision that ended the “separate but equal” racial segregation of schools. This decision was unanimous, 9-0. The justices on the court were diverse, being appointed by both parties, coming from different regions of the country, and having different ideological backgrounds, and yet in this famous case, they reached a powerful consensus. Futhermore, in 1954, before most of the major accomplishments of the civil rights movement, this was a radical decision, unpopular with a large number of Americans, and it predictably produced a great backlash and strong decisions. But the court not only decided rightly, it did so unanimously. 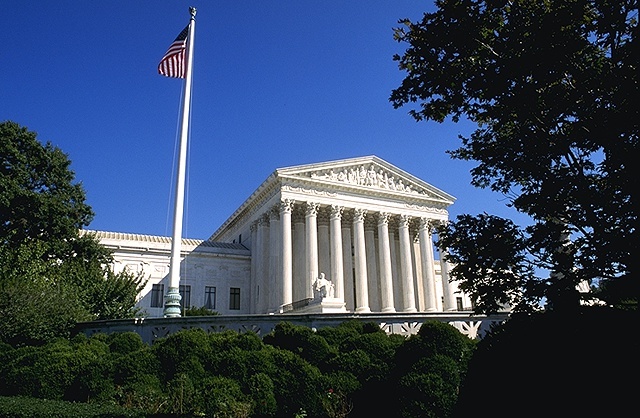 Justices would not be easily characterized as “liberal” or “conservative”. The court would encompass a diversity of viewpoints. Justices would each have their own opinions, rather than being able to be divided cleanly into “camps”. When groups of justices emerged that agreed on certain issues, they would not correspond cleanly with the mainstream political parties in the U.S. as a whole. Justices would be willing to make unpopular and radical decisions, as well as routine ones, including ones that deviated from the viewpoints of the people who appointed them. Justices would make long-term decisions, and would not be swayed by the political atmosphere in mainstream society. The court would reach a consensus more often, reflecting its ability to hash out difficult issues and reach true and constructive interpretations of law and the constitution, rather than getting caught in partisan bickering. Break yourself out of the political box of liberal and conservative first. The U.S. is a representative democracy, and the first step towards creating an ideal supreme court is to stop thinking in partisan ways yourself. Read a bit about supreme court decisions in order to convince yourself that achieving an ideal supreme court is not as simple as having a majority of liberal or a majority of conservative justices, and so that you will have concrete examples to give when people challenge your claims that the answer doesn’t lie in a one-sided perspective. You may not agree with the examples I gave here, but if you start looking at enough cases, I bet that you will be able to find cases where you agree with both “liberal” and “conservative” wings of the court, and also some where you agree (or disagree) with both. Find example cases that you feel particularly passionately about or interested in. Wikipedia has an exhaustive list of U.S. supreme court decisions, many of which have extensive articles on them. If or when you write or talk about the supreme court, and supreme court appointees or justices, make sure to talk or write about it outside the partisan ideological box. If you lean more towards the liberal side or the conservative side, put a little more scrutiny on the candidates nominated by people who more closely share your political affiliations. Contact your elected officials to let them know how you feel about the supreme court. What is the relationship between sustainability and freedom? Often, people use the word sustainability as if it had a narrow definition, only encompassing environmental issues, and perhaps human rights issues. An overwhelming majority of people seem to think, write, and act as if sustainability is primarily about environmental issues, and other concerns (such as community, culture, economics, psychology) are secondary. I think sustainability is a holistic concept, and I think freedom is one aspect of sustainability that is just as important as environmental issues. I also think that the environmental issues are related to freedom in a way that many lawmakers and activists do not understand. 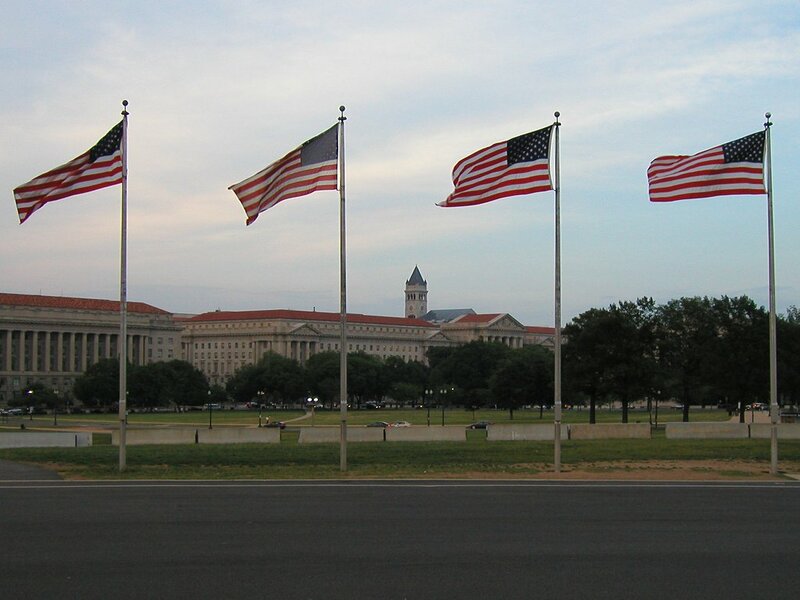 The American flag is often seen as a symbol of freedom. But the message it sends is complex and not everyone receives it the same way or feels the same way about what the symbolism of the flag means. What is freedom, after all? In America, freedom a buzzword that is often thrown around carelessly. I like the Free Software Foundation‘s approach to freedom, which makes a distinction between “free like free speech” (which is the key type of freedom) and “free like free beer”. A similar idea is expressed by the patriotic ribbons sometimes displayed on cars in America: “Freedom isn’t free”. This sentiment, often intended to express appreciation for those who serve in the armed forces, is one I find to have deep applicability. It could just as easily serve to bring attention to any people fighting (including non-violently) for their human rights and independence. The key idea about freedom though is that true freedom involves some sort of sacrifice. It’s not a free lunch. Every parent knows this, and it is terrifying. A natural part of raising children is the gradual gift of responsibility, allowing your children to make their own decisions, including bad ones, and teaching them how to understand and face the consequences of those decisions. It is through this process that people (including some parents) eventually become adults. Sometimes, however, I feel that humanity is only still growing up, that we are a global society of children. More often than not, we behave like children, and we often treat other full-grown adults like children both by failing to take responsibility for our actions, and by not giving others the room to take responsibility for their actions. When someone does something wrong, we attempt to punish them (often acting out of anger), and then the person who has done the wrong, rather than taking responsibility for their actions and taking actions to right the wrong, instead hires a lawyer to keep themselves from being punished. Is this not childish on both ends? Think of how responsible adults behave in a highly professional workplace when someone makes a mistake that harms the employer in some way. Someone noticing the mistake promptly points it out, in a respectful manner, to the person who made the mistake; this person takes responsibility and commits extra time and work to undoing whatever damage was done, makes an apology when appropriate to those affected, and makes note of the situation so that it doesn’t happen again. This gold standard of professionalism is a far cry from the prosecute-and-defend criminal “justice” system that our society works off of. We all know, from when we are children, what happens when an adult tries to give us a rule that we think is unfair. The minute no one is looking, we go ahead and do what we want, completely disregarding the rule. As adults, most of us are the same way: we follow most rules because we understand and agree with the rationale behind them. But the minute there is a law people think is unwarranted, they won’t follow it. Examples abound among people of all ages: underage drinking, tax evasion, illegal drugs, speeding, illegal use of copyrighted material–which includes music sharing. Psychologists have studied these phenomena, and firmly established that people are more likely to engage in an activity if it is forbidden. See Influence: Science and Practice by Robert B. Cialdini, Chapter 7, for a compelling exposition of this phenomenon. 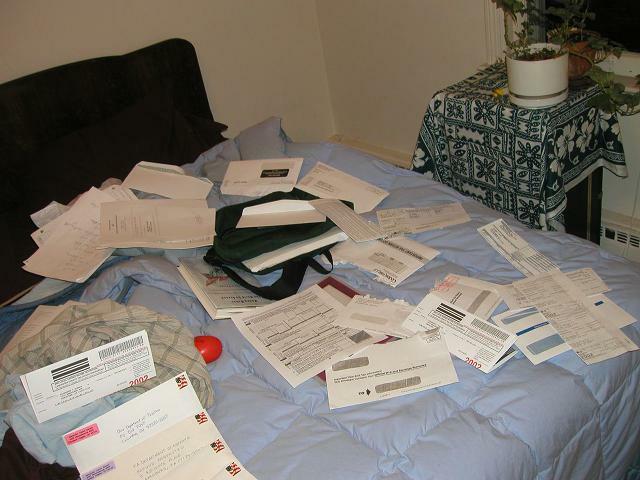 One year I was required to file no fewer than five tax returns, between state and local ones. The complexity of the tax system in the U.S. encourages people to cheat on their taxes, both because it makes it harder to follow all the rules, and because the complexity makes it easier to avoid getting caught. If you’re reading this, you’re likely guilty of one of these offences, or of some other similar offense (I know I’m guilty of at least one of the above!). And, like my example above, when people get caught doing something illegal, they often try as hard as they can to evade responsibility, sometimes by legal wrangling, or other times by hiding behind a position of authority that they hold. 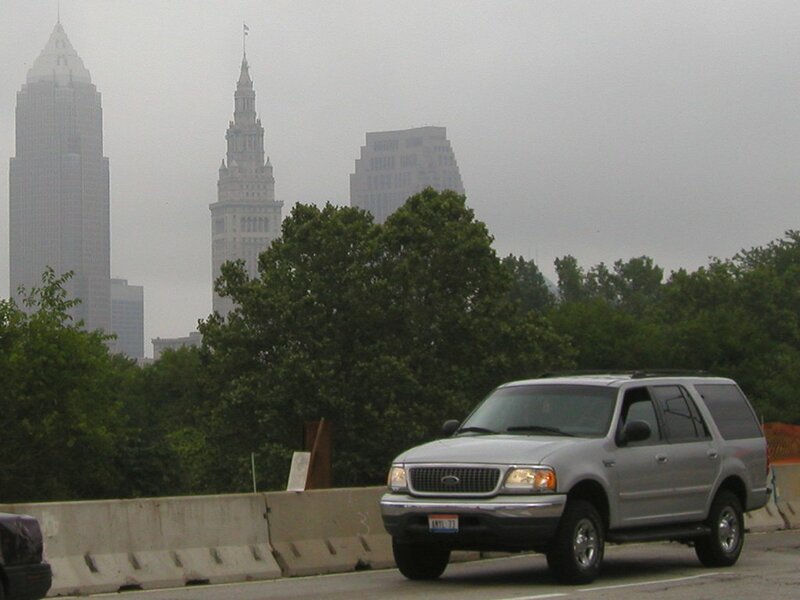 SUV's like this one utilize a loophole on regulations for emissions and fuel efficiency, so that they use fuel less efficiently and pollute more than normal cars, which must comply with tougher standards. The bottom line is that you cannot use laws and regulation to achieve sustainability: the change needs to come from the hearts and minds of all the people making decisions. In other words, you can’t achieve sustainability by taking away freedom. In terms of the SUV analogy, the root problem is not that gas-guzzling vehicles are legal to manufacture and sell, the real problem is that people want to buy them. Sustainability and freedom go hand in hand. If you take away freedom, you take away sustainability. This freedom must necessarily include the freedom to live unsustainably. And yet we must ultimately live sustainably, if we are to survive and prosper. To continue the analogy to children growing up, adults must learn to eat a healthy, well-balanced diet when they have the freedom and money to afford to eat only junk food. This is the challenge: to balance the freedom to make the wrong decision with the reality of making the right decision. If we can’t force sustainability to be achieved through law, how can we achieve it? Leadership – When people who are respected and liked lead by example, many people will not only voluntarily follow, but will go out of their way to follow the lead, even if it is costly and time-consuming for them to do so. Price Incentives – People like to shop around for a bargain. If we set up our laws and tax system so that sustainably-produced goods and services are cheaper, and unsustainable goods are more costly, people will naturally choose to live more sustainably in the course of seeking out lowest prices. Rather than making unsustainable activities illegal, it would be more productive to simply make them more expensive. This approach results in smaller, simpler government, as tax record keeping, as costly as it is, is much simpler than prosecution and fines. Education and Knowledge – In general, the more people know about the effects their actions have on others and on the environment, the more they will make sustainable life choices. Most people want to live sustainability, but they just make unsustainable choices because they haven’t ever thought about how these choices impact the greater world. Rather than attacking or judging these people for their unsustainable choices, it would be more productive to encourage people to learn more, and make it easier for them to learn more about how their actions impact others, so that they naturally choose to live more sustainably. 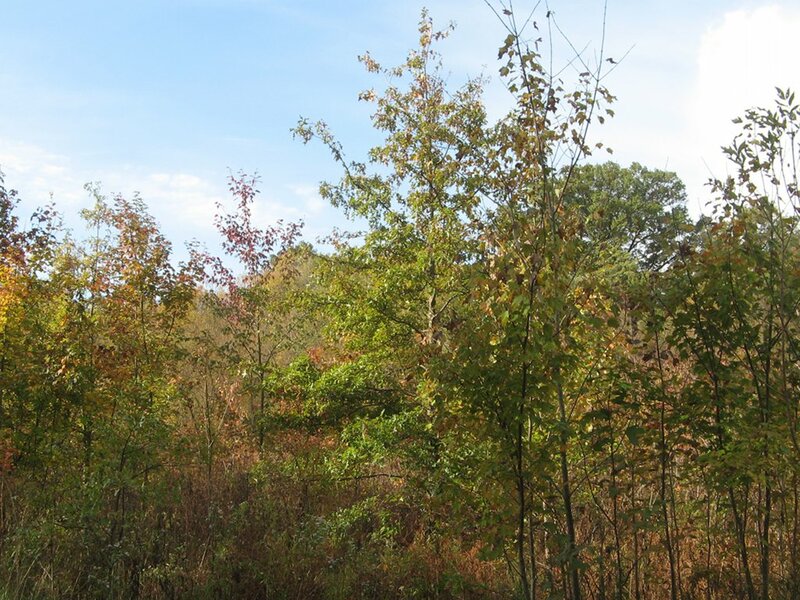 Just as these plants are only beginning to change colors in early fall, the United States is only beginning to embrace sustainability. You can do your part to advance this goal by being a leader, learning about the relevant issues, and asking tough questions to help find the best political and legal approaches to achieving sustainability. Show your support of use taxes, carbon taxes, and other sustainability-focused taxes, as a replacement for income tax, sales tax, and other taxes that provide disincentives for economic activity. Argue for using these taxes to replace regulations, fines, and prosecution- and lawsuit-based approaches. This approach ensures a balance on the mainstream U.S. political spectrum, where conservatives tend to oppose both environmental taxes and regulations, and liberals tend to support both–thus making a bipartisan consensus more likely. Refrain from judging or criticizing others who live less sustainably than you do. Instead, focus on providing positive encouragement for them to start thinking about sustainability or to try out sustainability-promoting activities. Do your own research about sustainability; learn how your choices and actions affect others. Becoming more educated yourself is the best way to prepare you to help others to learn more about sustainability. But don’t let your knowledge stop with yourself: share it in whatever ways you are best equipped to do, through writing, talking with others, through your job or career, or in any other means you find effective. Be a leader in sustainability in your own life. Make as much of an effort as you can to have a positive impact on the environment and society through your own personal choices and behaviors. By living more sustainably, you will not only be making a direct difference, but you will be setting a positive example that others are likely to emulate.